Customer Spotlight: Maricopa County Arizona Sheriff's Department licensed 700 copies of FormDocs for recording their incident and accident reports. Responsible for keeping the peace in the third largest county in the United States, this innovative department is famous for its unusually 'tough' but successful jail management program (pink jump-suits for inmates) which has become a model for law enforcement worldwide. FormDocs can quickly and easily produce and manage your case files such as Incident Report Forms, Arrest Reports, and Follow-up Reports suitable for on-going investigations and evidence recording - on the job, at home, or in a patrol vehicle. 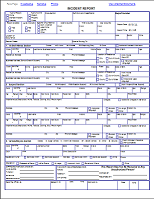 Police, Sheriff, Private Security, Task Force, Detention, and Court matters can all be handled more efficiently by filling-in your forms on-screen. 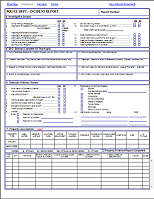 Use or modify our free ready-made incident reporting form templates, convert your paper forms or files, design your own custom forms, or hire our professional services to re-create your forms for you at an affordable price. Add drop-down lists of crime codes, descriptions, and other terminology so that you'll spend less time typing. Type and spell-check report narratives of infinite length using scrolling fields. 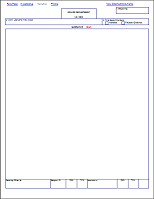 Insert or attach photos, crime scene drawings, and other documents to any report so that all related case information remains bound together. Add calculations so that multiple rows, columns, sub-totals, and grand totals are automatically and accurately calculated. Add 'digital signatures' that guarantee the identity of report authors, reviewers, and that secure the integrity of information on the form so that it cannot be tampered with. Keep all completed forms in a Forms Database so that you and others can quickly search, sort, locate, and print any form in just a few seconds. Easily obtain statistics to-date, end of year, or for any time period. Export information from a form and upload it to your back-end database or RMS (Records Management System). Taken all together, FormDocs' affordability, short learning curve, and customizable features make FormDocs electronic forms software the solution of choice for Law Enforcement and private security agencies world-wide!